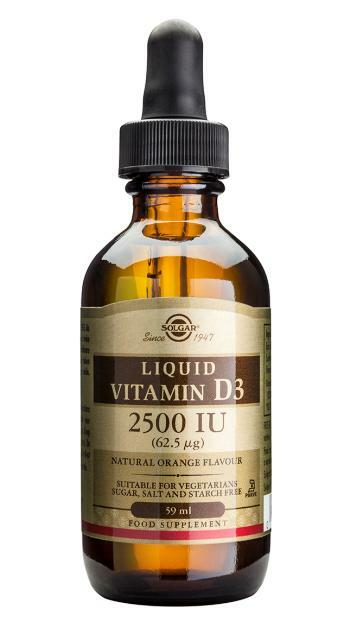 Solgar Liquid Vitamin D3 2500iu - great-tasting natural orange flavour, formulated without the use of artificial preservatives, flavours or colours and is ideal for those who have difficulty swallowing capsules or tablets. 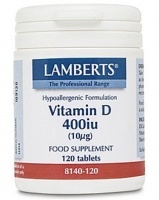 Solgar Natural Liquid Vitamin D3 2500 IU comes in a great-tasting natural orange flavour, formulated without the use of artificial preservatives, flavours or colours and is ideal for those who have difficulty swallowing capsules or tablets. Suitable for vegetarians. As a food supplement for adults, 0.5 ml once or twice daily, with a meal or as directed by a healthcare practitioner. Can be mixed with beverages or taken straight form the dropper. Calibrated dropper inside.